For Resale And Commercial Uses, All Cuts Of Our All-Natural Beef Are Available For Wholesale. Delight Your Customers With Well-Marbled All-Natural Beef From Our Family Farm. The Sunrise Farms difference is one you can taste. Our pesticide-free Virginia grass pastures produce optimal grazing for grass-finished cattle that provides well-marbled beef. Our freely roaming cattle are never crowded, but graze on well-kept pastures allowing for natural growth. We mill our non-GMO feed on-site, to provide quality assurance from start to finish. Healthy Herds Produce Delicious Beef With The Integrity Of No Added Hormones Or Antibiotics. Our family values endorse our commitment to non-GMO feed and healthy animals. 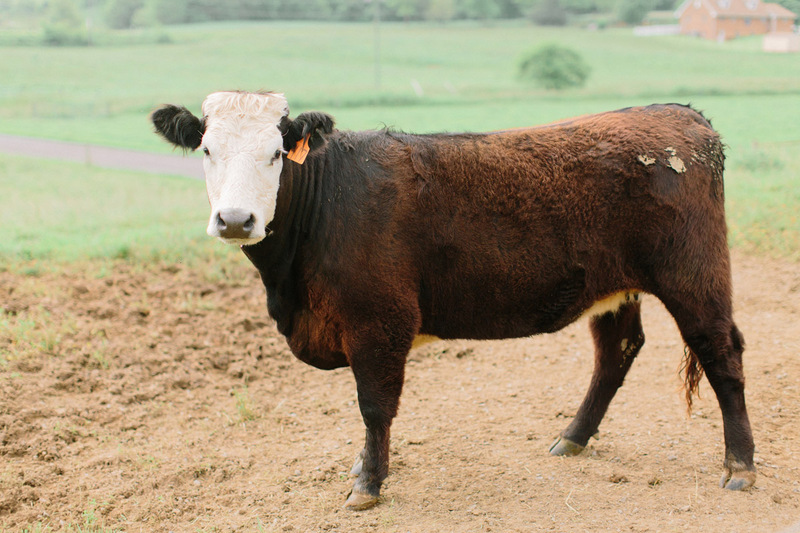 Our cattle are given no added hormones, no antibiotics, and no medications. Our non-GMO grass pastures are not treated with pesticides and benefit from our intensive grazing practices. To maximize the health of our cattle and produce beef that tastes incredible, we maintain healthy pastures, provide clean water separate from the natural water sources on our land, and keep clean shelters. Sick animals that must be treated with antibiotics or other medications are sold on the commercial market and are not processed for beef sales from our farm. Our Careful Stewardship Of Resources And Streamlined Processes Make Our Beef Prices Affordable And Competitive. We strive to manage every step in the farm to retail process with integrity. This stewardship allows us to maintain top quality without the additional costs of certifications. Our all-natural beef is affordable and our retail and wholesale meat is from a farm you know and trust. Contact Us To Purchase Non-GMO All-Natural Beef Wholesale Today.